← Temporary Blog Hiatus But I’m Back! This past week, I stayed in Reno, Nevada, and visited Sacramento prior to going to Yosemite where I am serving as a volunteer in Tuolomne Meadows. 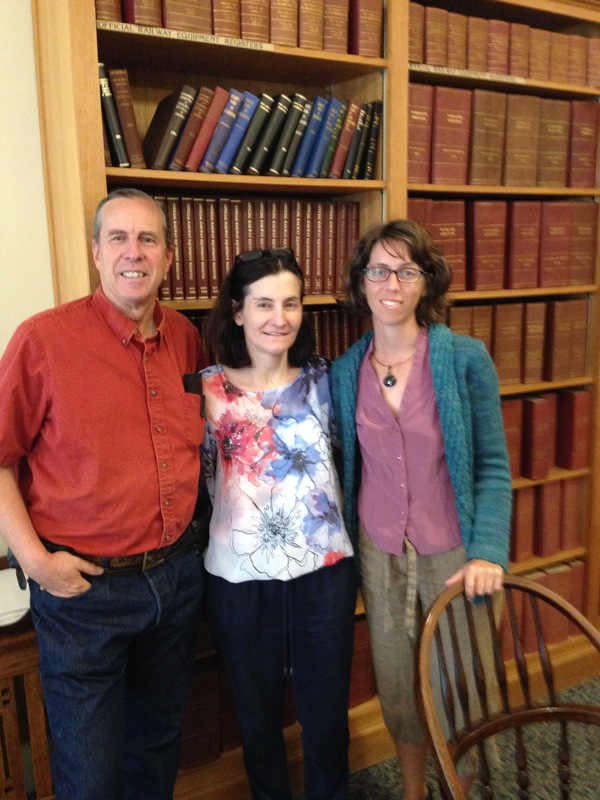 While in Sacramento, I renewed acquaintances with the good folks at the California State Railroad Museum Library – Curator Kyle Wyatt and Librarian Cara Randall. I also met for the first time Archivist Kathryn Santos. As I noted in the Acknowledgments to my book Trouble at Mono Pass, Kyle and Cara provided highly valuable information about the operations of the Central Pacific Railroad during its construction of the western leg of America’s first transcontinental railroad. Traveling on Interstate 80 between Reno and Sacramento, I passed many of the places mentioned in Mono Pass – Dutch Flat, Cisco, and Donner Lake, to mention a few. I-80 largely parallels the original Central Pacific line between Reno and Sacramento. Along the way, I stopped at Donner Lake Park’s new visitor center, which includes many exhibits about the Central Pacific as well as exhibits about the tragic Donner Party. When I visited with Kyle Wyatt, he suggested that I take the Soda Springs exit off I-80 and drive on historic Route 40 to get an even better idea of the obstacles faced by the Central Pacific. I followed his advice and am glad I did! It certainly gave me much greater perspective about the Sierra Nevada in this part of California. 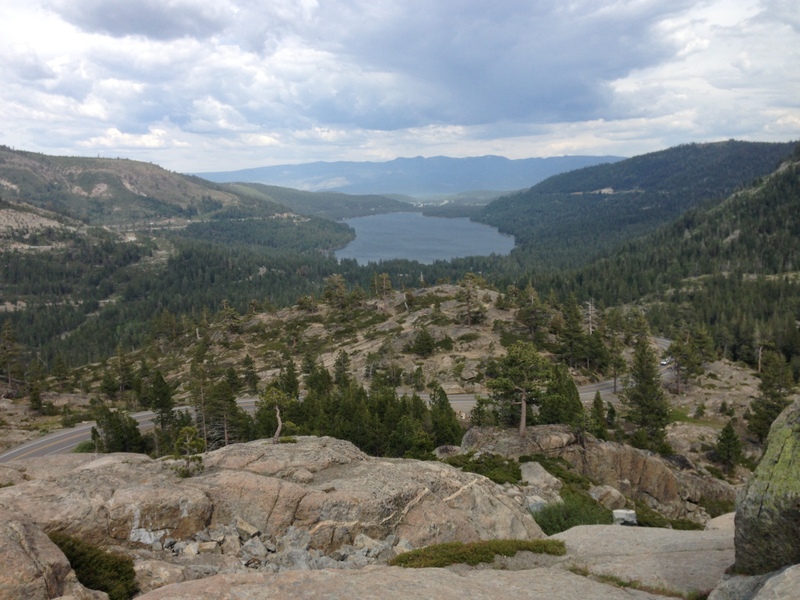 I received a double bonus when I stopped for a view of beautiful Donner Lake. 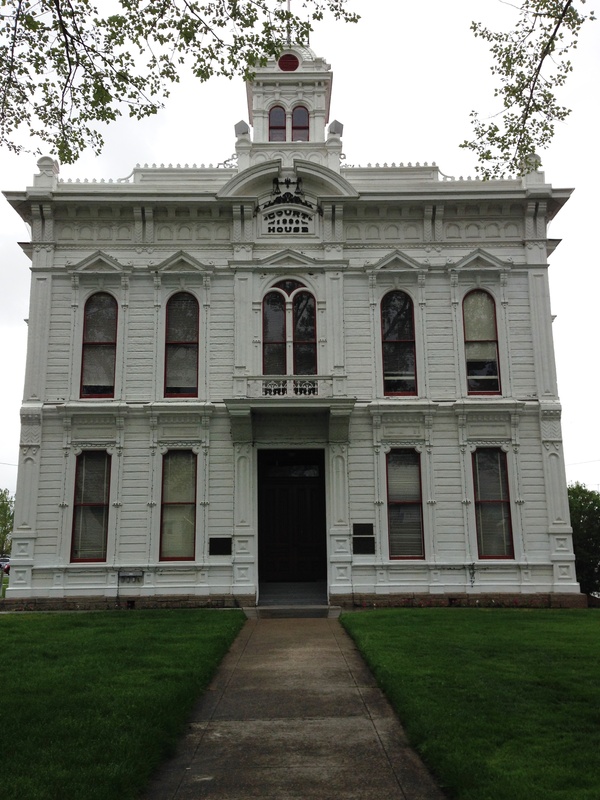 On Wednesday, June 10, I left Reno for Lee Vining. Along the way I stopped in the town of Bridgeport, also referenced in Mono Pass as a layover spot for some of outlaw Joe Crawford’s men and where Judge Crawford and his army of 50 men stayed while Jack Grier and his men completed their efforts to rescue Jack’s niece and Crawford’s daughter. On June 11, I entered Yosemite National Park to begin a month of volunteer service. While here, I will write almost exclusively about my experiences in one of my favorite national parks. Sounds (and looks) like a wonderful trip through part of northern California. It’s such a pretty area and so much history. My family loves the Railroad Museum and we’ve visited it each time we’re in the area! Hope your work in Yosemite goes well – I’m enjoying the photos of mountain region!